Change up your hotel breakfast with these easy mix-ins. If you travel frequently, you will likely find yourself eating the exact same hotel breakfast every morning. 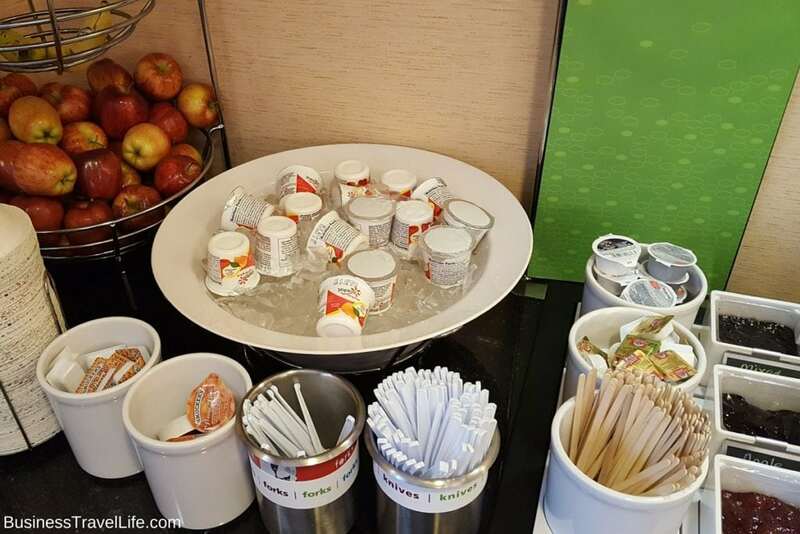 Since our goal is to encourage healthy travel, we sincerely hope your hotel breakfast choices are healthy- that means skipping the waffles, muffins, and bacon and opting for healthier options like oatmeal, fruit, yogurt, and eggs. 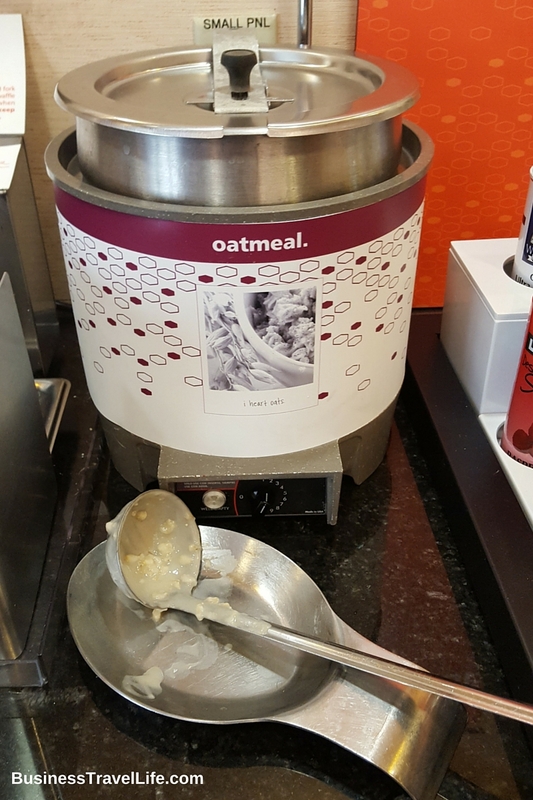 Oatmeal and yogurt are available in just about every hotel for breakfast. It is easy to get burned out on either option, but with a little creativity both are easy to change up for a more enjoyable breakfast. 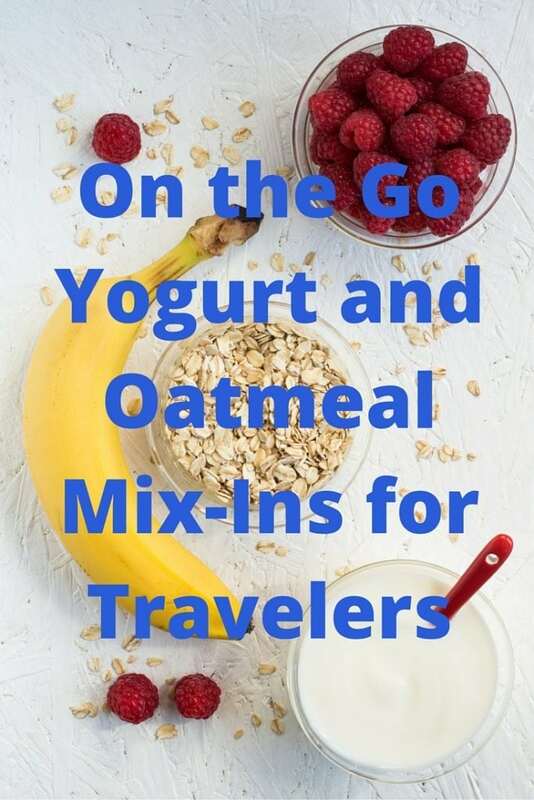 I enlisted the help of Business Travel Life intern Alessia Pizzino to come up with some easy and tasty ideas to make your oatmeal and yogurt more interesting on the road. 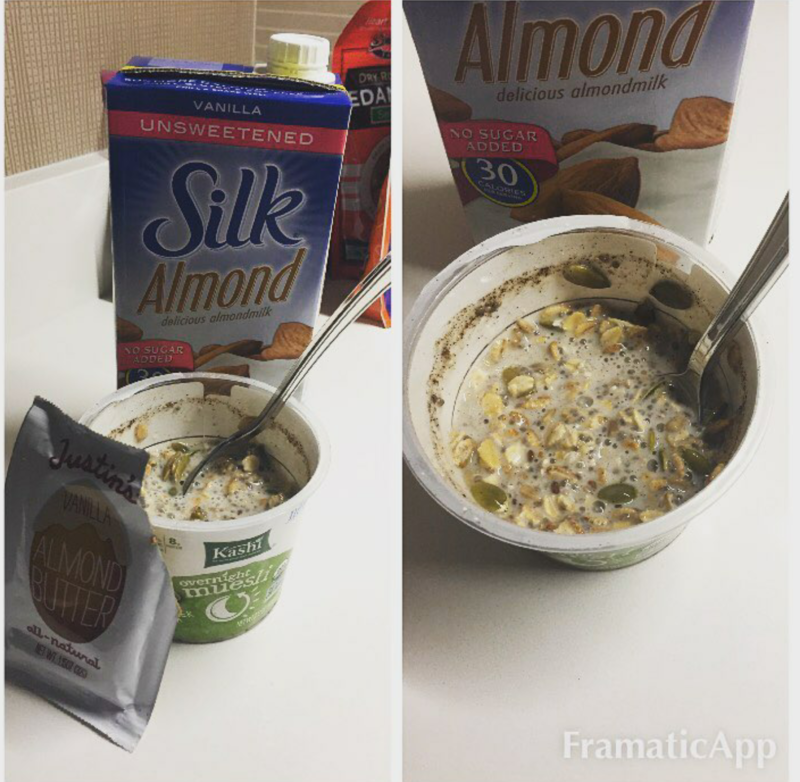 Many hotels offer at least one of the following items that you can easily mix into your oatmeal. If not, plan ahead and pack your favorite mix-ins with you. 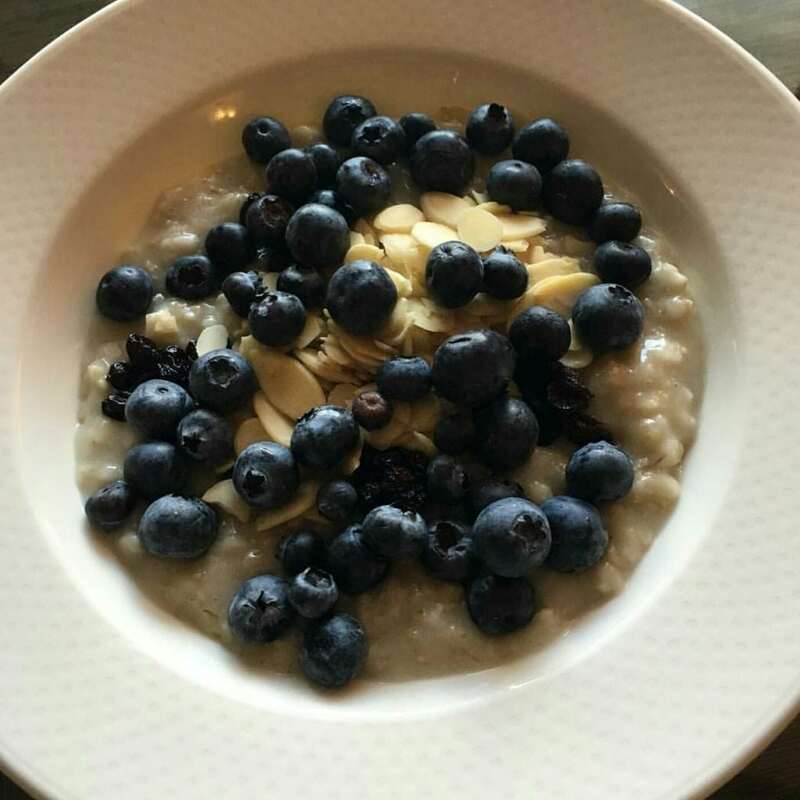 If your hotel does not offer breakfast, or you are in a hurry, oatmeal is easy to pack along in your bag and heat up in your hotel room (with or without a microwave!). If you have a fridge, you can also mix dry oatmeal or muesli into milk or yogurt and let it sit overnight for quick overnight oats. The overnight muesli mix was new to me until I saw it on Instagram. There are three flavors available: Sunflower & Pepita, Cacao Nib, Almond, and Coconut, and Cherry, Cinnamon, and Cardamom. Try one of the following recipes during your next trip. Simply mix the ingredients into the oatmeal. If the oatmeal comes precooked, you can mix ingredients into the cooked oatmeal. If the oatmeal comes dry, mix the ingredients into the oatmeal before cooking. If you have the choice, it is best to use a low-fat Greek yogurt, but any low-fat yogurt will do. I recommend Greek yogurt because Greek yogurt contains almost double the protein and half the sugar compared to regular nonfat or low-fat yogurts. You can also reduce the amount of sugar in your yogurt by choosing plain over flavored. How do you change up your hotel breakfast? Please comment below!